The British Game Alliance (BGA) was formed with the aim to increase demand in order to return a commercial value back to British game meat. Launched back in May 2017, the BGA laid out its plans for the season ahead and has certainly delivered, publishing a comprehensive end of season summary to the industry. Now approaching 500 shoot members have signed up to the BGA, new markets for game have also been secured at home and overseas as well as the support of shooting and governmental organisations. 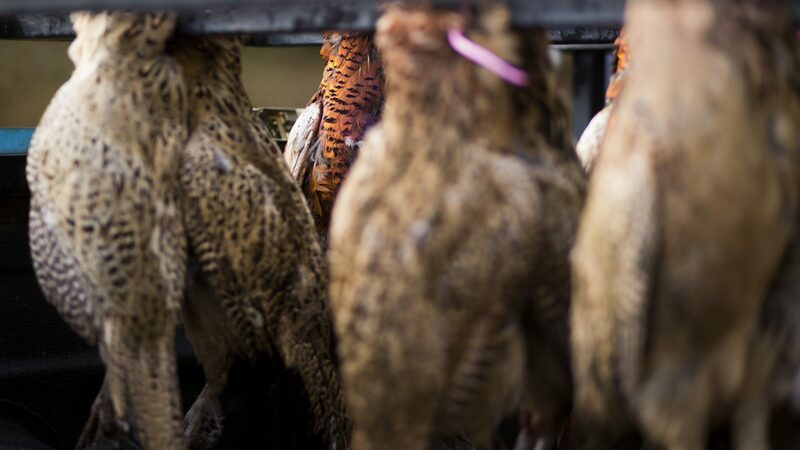 The BGA team have found great success in opening new markets for game, particularly with venues and wholesalers who have not previously had game on their menus. Confirmed key stockists include restaurants, wholesalers, hotels, retailers, pubs and bars, caterers and food ingredient suppliers. Notably, alongside a series of high-profile hotel groups including the Macdonald Hotels & Resorts, Marriott Hotels Group, Splendid Hospitality and Grosvenor Pubs, the BGA has continued to secure deals with world-renowned restaurants and wholesalers such as Harrods, Fortnum and Mason, Selfridges Food Hall and The Ned, to name just a few. Influential industry ambassadors have signed up to support the cause including: Lord Mark Price, Former Managing Director of Waitrose and Minister of State for Trade and Investment; Mark Samworth, Director of Samworth Brothers, a leading premium pie and sausage producer; and Nigel Haworth, one of the UK’s most celebrated chefs. Along with the success of new stockists, the BGA have over 400 shoot-members already signed up. Additionally, 33% of these shoot-members received an audit last season, with the aim to audit the rest of the remaining member shoots in the next 18 months as well as to increase our membership to 500 in the very near future. The BGA has also obtained fantastic support from many members of the shooting community, in the form of BGA Ambassadors, who all believe in a sustainable future for shooting and for game meat. These include Ian Coghill, Ex-Chairman of the GWCT, Dylan Williams of Royal Berkshire Shooting School and Marcus Janssen, Brand Director of Schöffel Country, to name but a few. In house and external marketing is an important area of the BGA’s work. In promoting game to the wider public through the BGA’s Eat Wild campaign, we have also launched an industry targeted PR campaign, with a focused drive since November 2018. Eat Wild was created to further stimulate people’s awareness and interest in game. This initiative complements and works in conjunction with other industry bodies such as BASC’s ‘Taste of Game’ and the Countryside Alliance’s ‘Game to Eat.’ Game recipes have been made available on a regular basis via our web site and social media channels and we update BGA stockists’ pages, to make it easier for everyone to cook and source game-based meals. The BGA has successfully launched the Assurance Scheme and Standards and now have eight auditors trained to complete the assessments across the U.K. The team were trained with the help of the GWCT at Loddington, the Moorland Association and GWCT in Scotland for Grouse Moors. The next allocation of audits for the 2019/20 season will be around 250-300 which is 50% of the shoots that are signed up to the BGA’s standards. Image copyright Leopold Amory – with thanks.